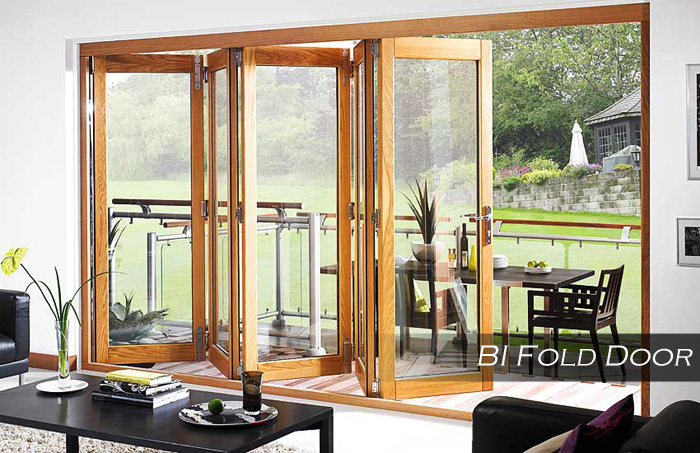 Bi fold door is one the most popular and versatile door type today. It is optimum for every type of appearance either traditional or contemporary. Bi-fold door is a perfect solution when an open living space is required. Bi-fold doors provide a seamless transition from indoors to the outdoors and allow folding the door partitions right in or out and enable to open even more space. Here are some advantages we like to share with you. 1) Large Space Appearance: Living room space is one of the biggest problems for millions of homeowners, and it amplifies with conventional door. By having bi fold doors in your home or living room you can create much brighter and larger living space. Just by pushing the entire bi-fold door to one side you can enhance the room space which was occupied by the conventional door. 2) Safer Children Play: Children love to play outside of the home but we don’t allow them to do this unsupervised. By having a bi fold door, you can keep it open and keep a close eye on them. 3) More Air Inflow: The insufficient air flow in the living room makes it annoying. In the summer living space becomes more uncomfortable due to this. Aluminium Bi fold doors can make a better air flow your home. 4) Cheaper Electric Bills: Bi fold doors provide a wide opening with more natural light and air into your house, which automatically reduces the use of lights and air conditioners and save a good amount on your electric bills. 5) Modern Appearance: The bi fold doors are excellent at appearance aspect, it provides contemporary and traditional feel according to your needs. And the best thing is that you won’t have to spend an absolute fortune to get these results.